The FEI Nations Eventing Cup series will kick off in Poland this year with the Strzegaom Horse Trials. The trials will run from 27 June through 1 July 2018. The Eventing Cup series is open to all nations, with one team of 3-4 riders competing in each leg. The competition will run under CICO and CCIO3 level rules. In addition to Poland, several other countries will also be hosting legs of the event, including the United Kingdom, Ireland, Belgium, Germany, the United States and France. The final will be held in Boekelo, Holland in October so we will expect horse air tranpsort companies to be busy this time of year. Last year’s Strzegom Horse Trials saw 239 riders representing 18 countries and nearly 270 horses. 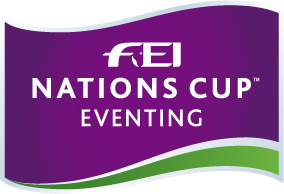 The trials were previously held in conjunction with the FEI World Cup Eventing Series, but a format change in 2012 launched the FEI Nations Cup Eventing Series. The Strzegom Trials have been part of the Nations Cup since it was launched. The only exception was 2013 due to poor weather conditions. This year’s trials will be held nearly a month after last year’s event, but will once again take place at the 14 Pułk Ułanów Jazłowieckich Hippodrome in Morawa. Horses have long been a part of Strzegom’s history. It was here that the Strzegom Horse Stud was founded in the 1950s, specializing in breeding the Silesian horse and Thoroughbreds. Located in the Lower Silesia region of southwest Poland, Strzegom has been settled since the 10th century. Rich in history, the town boasts several cultural and historical attractions. Spectators will also enjoy dramatic views of the old mountains and architecture, including the Church of Peace, the Minor Basilica and the Ksaiz Castle. Along with the trials themselves, spectators can enjoy carriage rides, pony rides and a pony show. Many of the world’s top eventing riders will participate in the program. In last year’s event, Karin Donckers of Belgium took first place in the CCI3 event riding Fletcha Van ‘t Verahof, with Merel Blom of the Netherlands taking second riding Rumour Has It N.o.p. Eveline Bodenmuller of Switzerland took third place riding Waldmann. In the CIC2 event, Kai Ruder of Germany took first place riding Coin Toss, while Elmar Lesch, also of Germany, took second riding Lanzelot 113. Rebecca-Juana Gerken of Germany took third place riding Scipio S.
In the CIC1 event, Janet Wiesner of Germany took first place riding Fst Golden Joy, while Noora Cederberg of Finland took second riding Tilda V. Julia Elzanowska of Poland took third riding Lucky Comeback. This year’s events will see more of the world’s top riders. The opening ceremony will give nations a chance to present their teams. The presentation will be followed by an equestrian-themed show with lights and music. Polonia Today isn’t meant to be the breaking news source for everything Poland. But, we do aim to provide Polish citizens living in America with a centralized location to keep on top of the latest news out of their home country.